One month has gone by since the production of State of Denial, written by Rahul Varma, at the Segal Centre for Performing Arts. 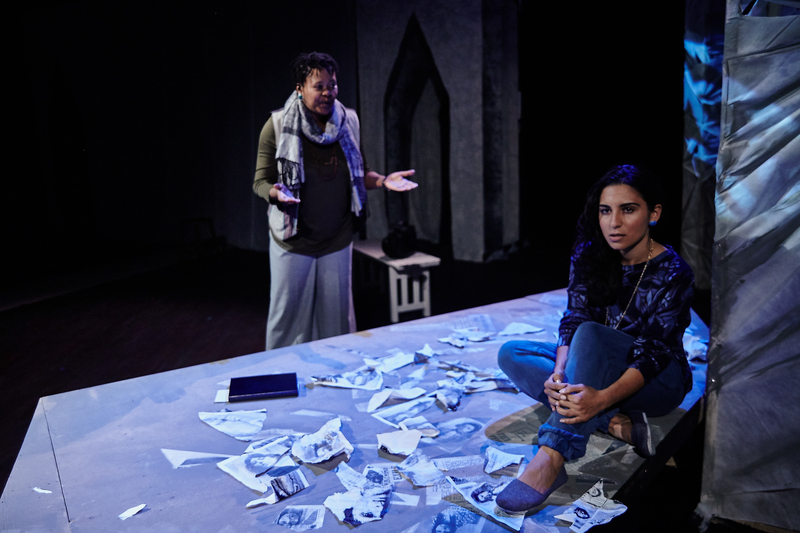 The central plot of the play is propelled by Odette, a Rwandan-born Canadian filmmaker, who travels to modern day Turkey to collect stories about the Armenian genocide for her documentary. In Turkey, she meets Sahana, an old Muslim woman who reveals a secret to Odette, one that unravels the multilayered denial of genocide. The revelation takes the audience to present day Canada to meet Isma, a young Turkish girl who discovers a previously unknown tie to the genocide’s violent past. The Daily sat down with Varma to talk about about how he developed the play and its message. The McGill Daily (MD): The play covers a hundred years of history that remains contested internationally, as you have previously mentioned. How does your play speak to the longevity of denial? Rahul Varma (RV): [A] common experience of genocide, or historical atrocities, especially where the state is involved, is […] denial. It happened a hundred years ago, it is denied. It happens [in] 1995, it is reinterpreted. […] So it’s very easy to see the link between what one historical event [means for] another event. Have we learned enough from one so that it does not repeat itself in the form of [a] second [or] in the form of [a] third? […] I don’t write history, I write fiction. The fiction allowed me to extrapolate [both] situations, which [were] 100 years apart. And I think that at the centre of this fiction is Canada, [as a] meeting ground for [the Armenian genocide and the Rwandan genocide] […] [It becomes] a shared space […] where people from all over the world have come […] to live. So when you have a sort of shared space […] we can tell stories [from around] the world. MD: What do you think survival means? Is it a cultural thing? Or do you think denial impedes survival? RV: I think the people who lived through this experience have a very strong desire to survive in order to share their experience so that [for] future generations, […] their heritage can continue. So survival basically is a resistance against the perpetrators, and that is why it is important. No matter how much you deny, [survivors] have survived to tell. MD: What do you think denial does to identity? You have Odette, the Rwandan filmmaker who is pushing Isma to talk about these issues, to recognize what had happened, and then you have [those who choose to deny the Armenian genocide] facing her [on stage.] Do you think denial can change an understanding of self? RV: Denial actually does not [impede an understanding of self], because people’s desire to tell is much stronger than [the] states’ desire to deny. That was a very inspiring thing about some of the stories that I read of women who had survived, both [from the] Rwandan and Armenian Genocide. They had a desire to tell [their stories.] Even though they had to change their identity, to live like who they were not, […] they still did not let go their desire to finally tell [everyone] who they [are]. […] They survived not only to save their [lives], they survived to tell us. […] So, the denial cannot suppress that desire to tell the truth. MD: Do you think the role of art is to provide that platform in bridging fact with feeling? RV: Absolutely. Because it is done so personally. When you tell the history as is, it’s very polarizing. But when you depict the same thing from [the] personal experience of one character, you begin to see what it is doing to the life of a person. So we make a better connection with that situation. I think that’s why this was a […] character-based play. It was about men, women, children, love affair[s], [but] the love for the child supercedes everything. It’s a personalization of the experience that allows the play or the narrative to be more acceptable to the audience. It opens dialogue.